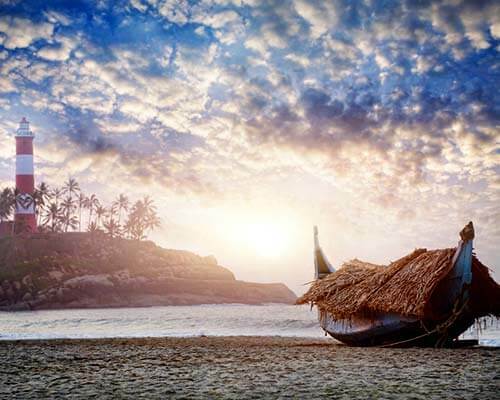 The dreamy beaches, calm backwaters, lush greenery, misty hills, honeymoon in Kovalam. 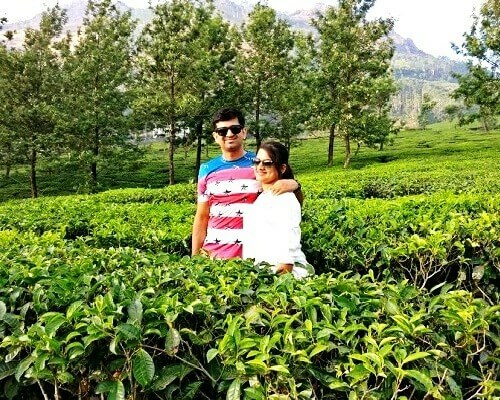 Although Kovalam is generally covered in your complete Kerala honeymoon package, nature and beach lovers prefer spending more days amidst the peace and astonishing beauty of this beach town. A place of endless natural and manmade wonders, Kovalam has a perfect mix of everything, from lakes and beaches to luxury honeymoon resorts. 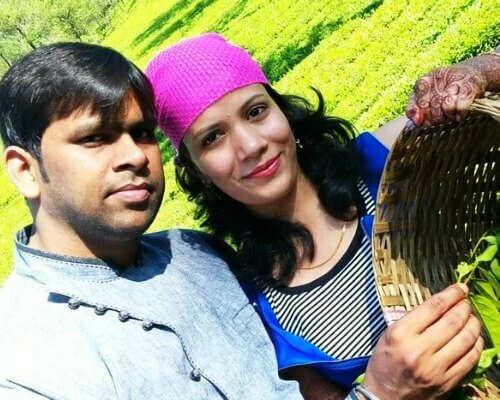 When on your honeymoon in Kovalam, relish every moment and every bit of the sun, the salty winds, the blue waters, the authentic cuisine, and luxurious stays. And to plan it all flawlessly, keep this nifty guide with you! A small coastal town in the Arabian sea, Kovalam in Thiruvanathapuram is an important tourist stop. 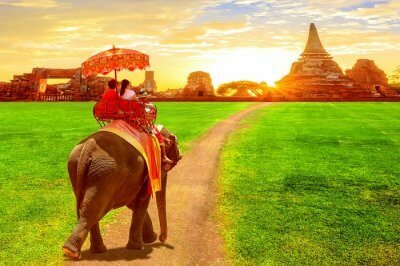 The weather remains pleasant throughout the year, with extreme temperatures (as high as 36) seen in the summer months. 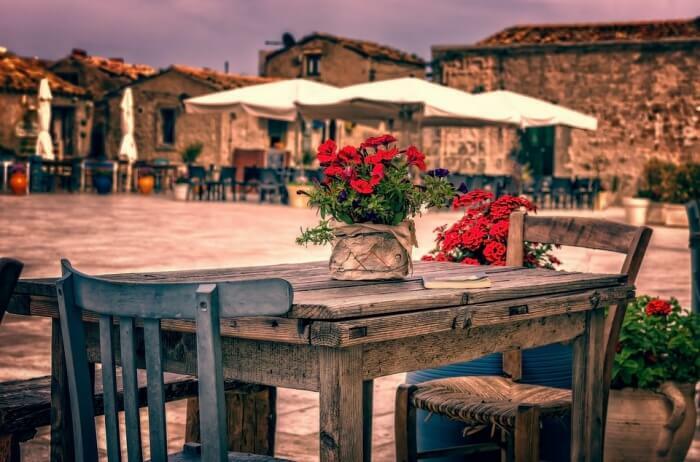 During monsoon, the town becomes absolutely pretty. Summer: The months of summer in Kovalam are March, April, and May. 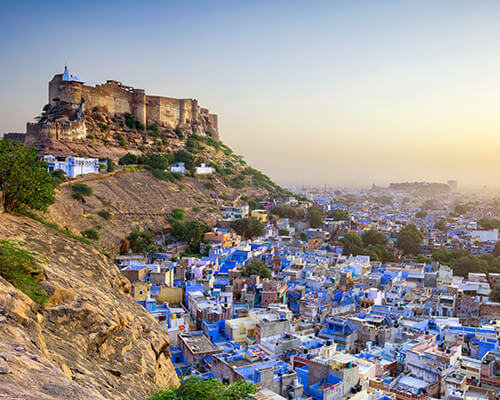 Summer season is hot and sultry with temperature rising between 20°C to 36°C. This is not the best season to explore this wonderful town. Monsoon: Kovalam enjoys its monsoon season from June to August followed by thunderstorms and heavy rains. This is the best time for Ayurvedic treatments. 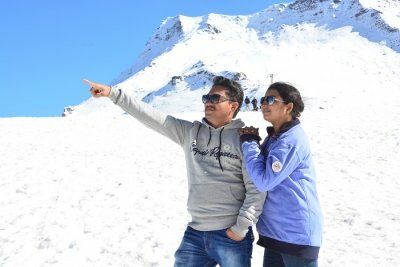 Winter: Now comes the season which turns the whole town into a realm of romance, thus making it absolutely suitable for honeymoon couples. 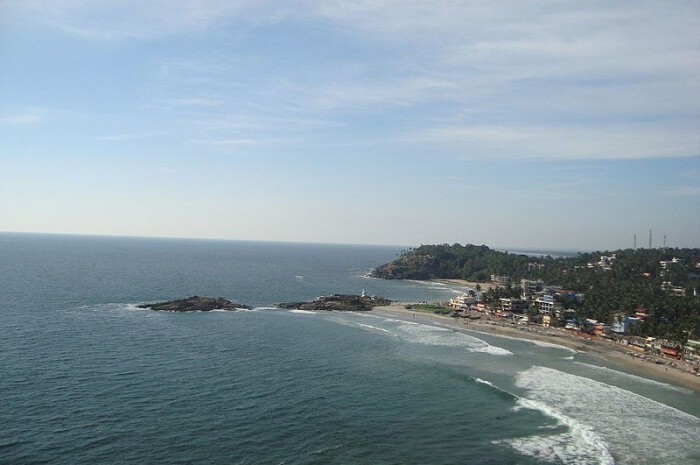 Winter is the best time to visit Kovalam with temperature between 16°C to 34°C. As soon as you see a lighthouse painted with white and red colors standing by waters, the first thing that crosses your mind is Kovalam. 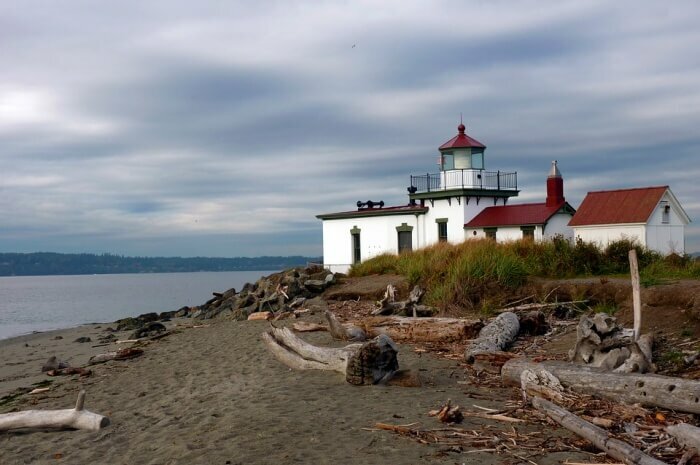 The lighthouse has become the identity of this beach town. The blue water, waves crashing on the rocks, warm sun, and swaying palm fringes make this place perfect for your romantic walks. If you enjoy watersports, you can go for sunbathing, surfing, swimming, and beach volleyball. Beachside spas and Ayurvedic massages, one of the most relaxing experiences of your honeymoon in Kovalam, are also popular on Lighthouse Beach. 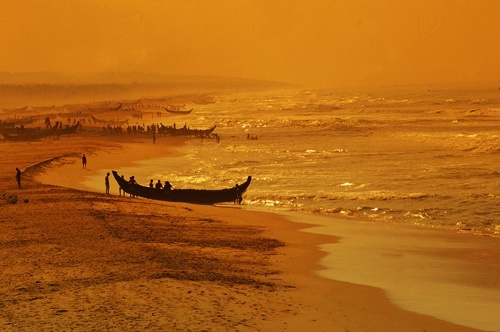 Known as the ‘Paradise of South India’, Kovalam beach is one of the best beaches in India. You can enjoy the mesmerizing views of sunset while listening to the soothing music of the dancing waves. If you visit the beach early morning, you can see local fishermen gathering on the beach for their fishing expedition, which is a wonderful sight. 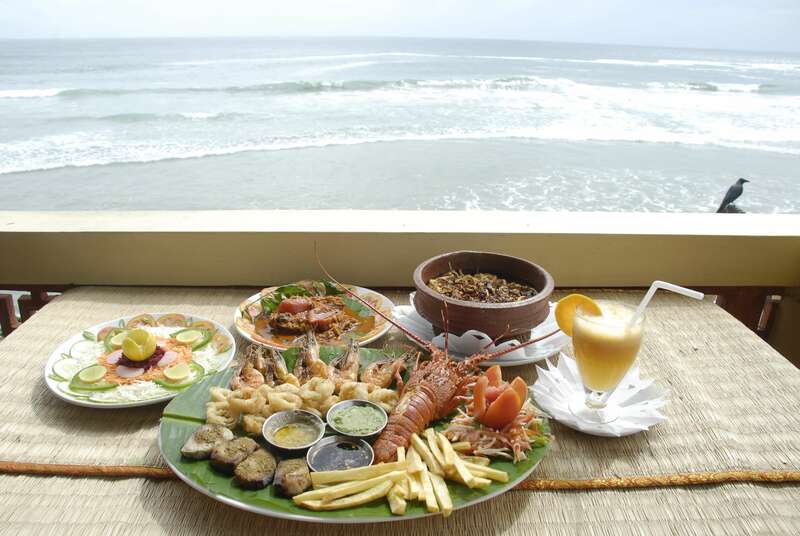 Other than water sports, you can also explore the different sacks serving delicious sea-food. Note: Nearby beaches, Samudra Beach and Hawah Beach are also lovely. 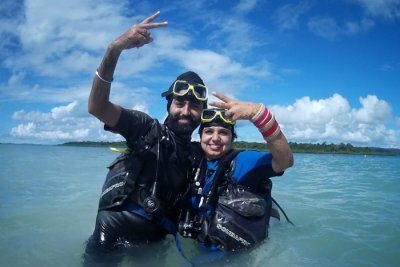 Do cover them on your Kovalam honeymoon. 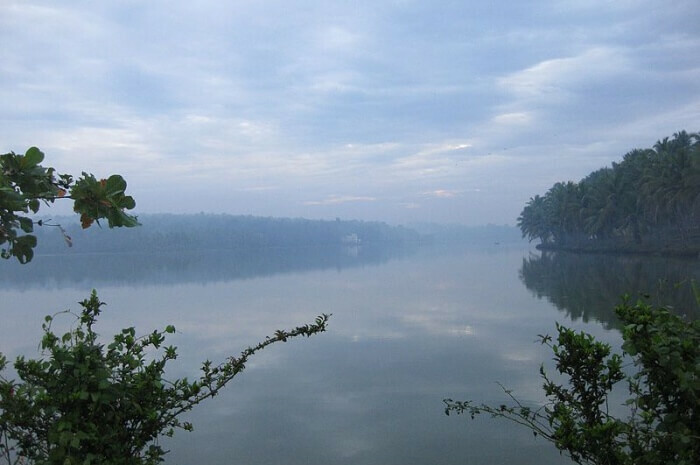 Vellayani is the largest freshwater lake in Thiruvananthapuram and a popular picnic spot. You can find abundant flora and fauna by exploring the lake by a boat ride or a walk along the avenue. The loveliest thing is to feel the cool and fresh air of Western Ghats on your face while sailing through the clean water of Vellayani. 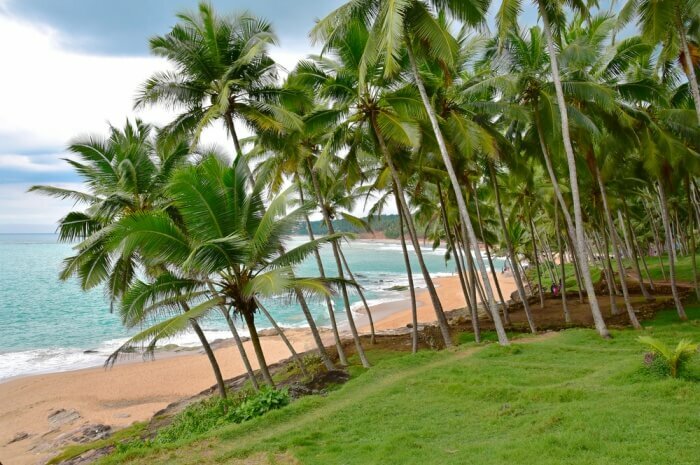 Chowara village and beach is located about 10 km away from Kovalam. 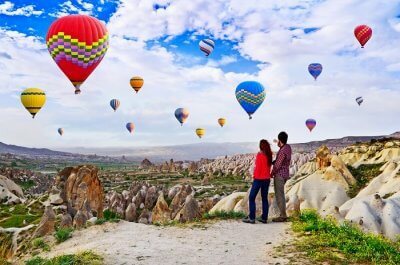 Home to ancient churches that fascinate tourists, the village is a picturesque spot and a must visit place for honeymooners. 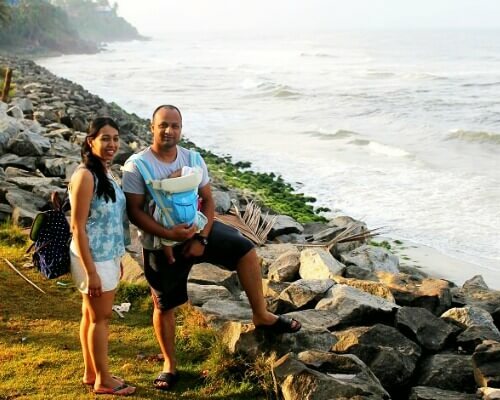 Also, do take a romantic stroll on the hypnotizing Chowara Beach, which is close to the Chowara Ayyappa Temple located on top of a small hill. 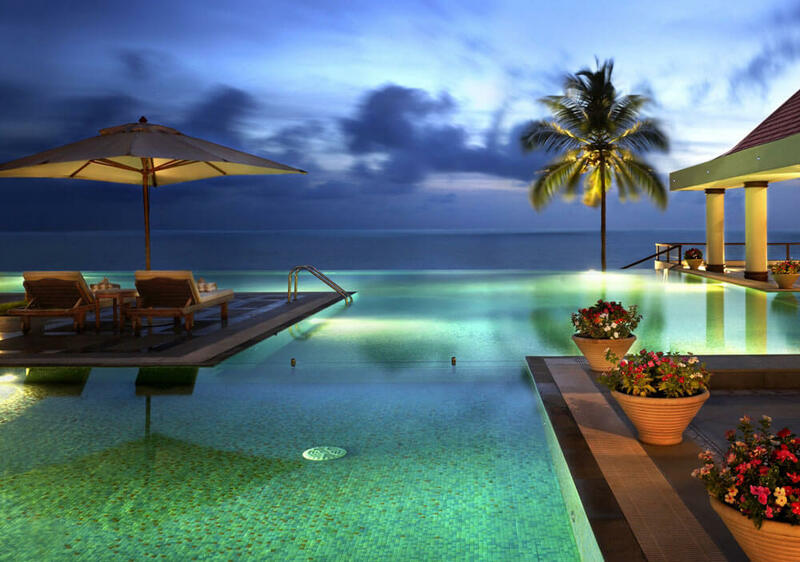 One of the most romantic places you can take your better-half is The Tides by The Leela Palace Kovalam. 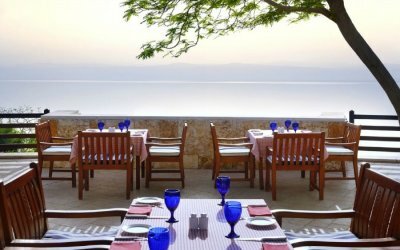 Dine by the infinity pool merging into the blue waters of Arabian Sea. 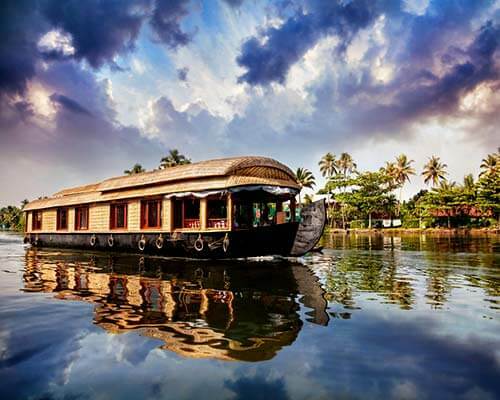 Enjoy a wide variety of Asian, Indian, and European cuisines, and undoubtedly the authentic Kerala cuisine. Also, there are live music bands singing the most melodious songs to make your evening perfect. 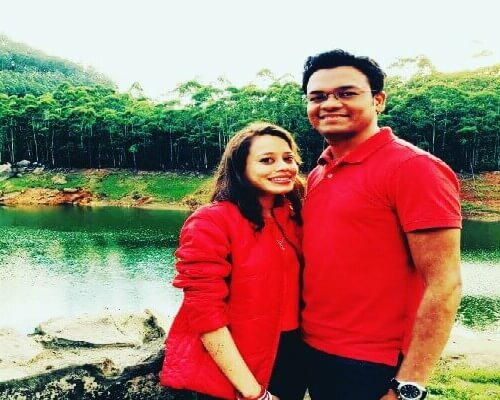 Experience a different dining experience with your sweetheart in this beautifully restored 18th century Dutch manor, which was one the royal house of Travancore. The restaurant’s timeless elegance, contemporary design, and fine cuisine make this place popular not only in Kerala but all over India. 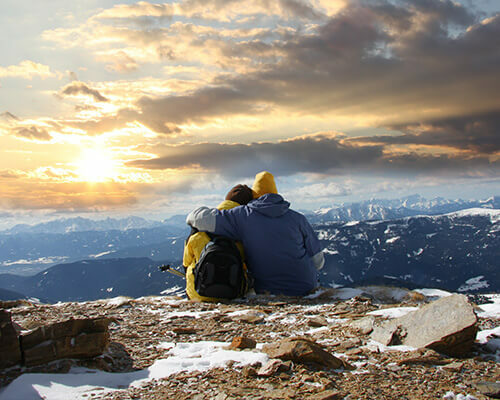 If your are the adventurous types, then must all the adventurous and adrenaline-pumping sports with your partner. 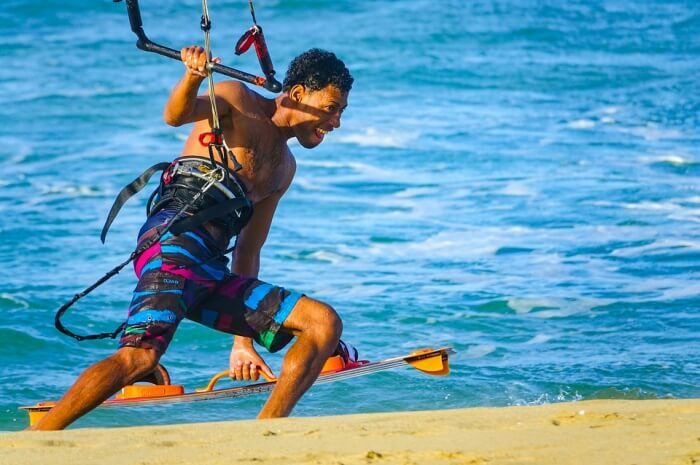 Parasailing, windsurfing, waterskiing, and boat sailing are for those who love some thrill with romance. You don’t have to worry about the safety, the crew takes care of that, all you have to do is live the moment. 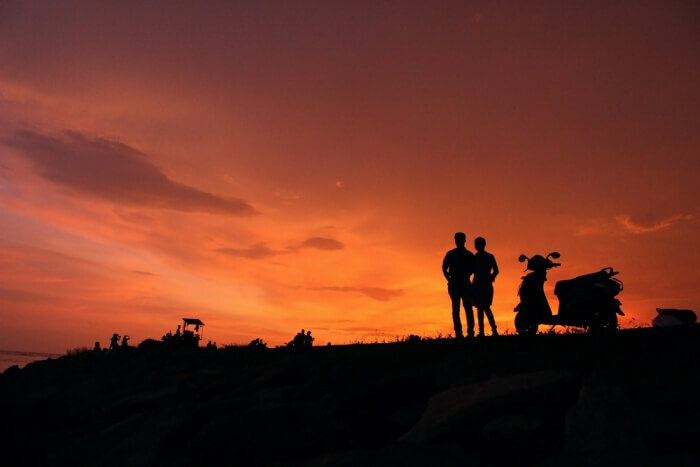 Exploring the German Bakery is amongst the most interesting things to do in Kovalam with your partner. 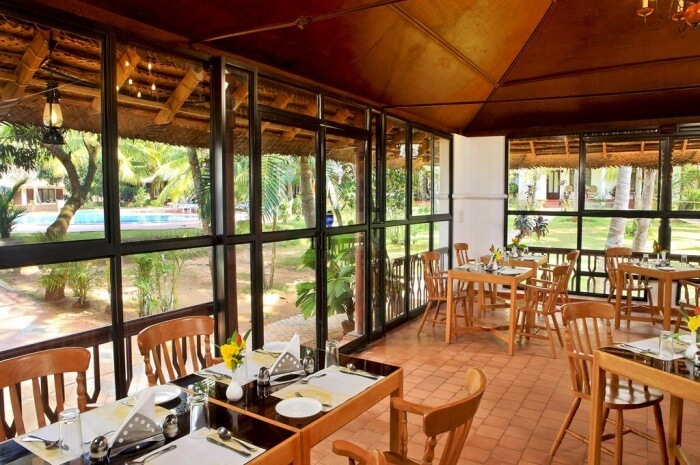 Located on the Lighthouse Beach, German Bakery is known for its unbelievably delicious breakfast serving fresh bread, pastries, and croissants, pizzas, while the dinner has Thai curries, seafood, sausages etc. There’s also a small bookshop attached for the bookworms. 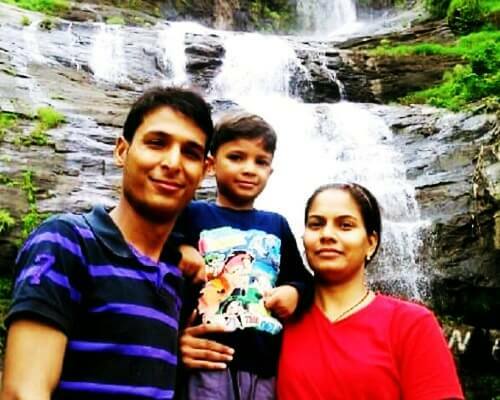 For the hopeless romantics, a serene and romantic boat ride along the waters of Karamana River is going to a beautiful experience. 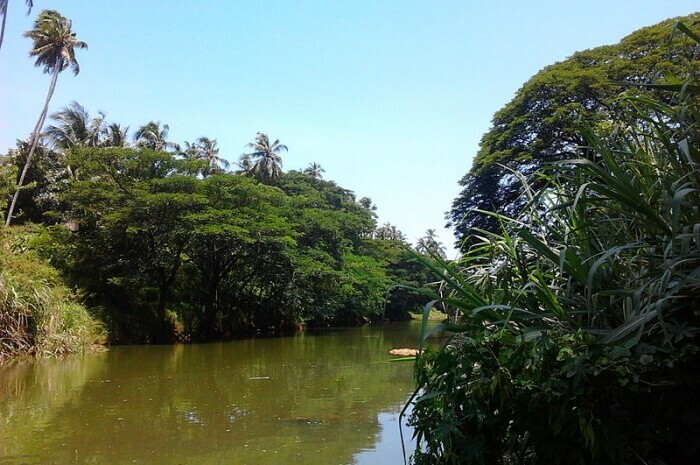 The river’s flora consist of mangroves, wild cane, water lilies, bamboo, and coconut trees. You can also spot some rare species of pine along the river bank. You can also see colourful and pretty fishes, including Karimeen, Paruminali, Cherumeen, and Kariyida. 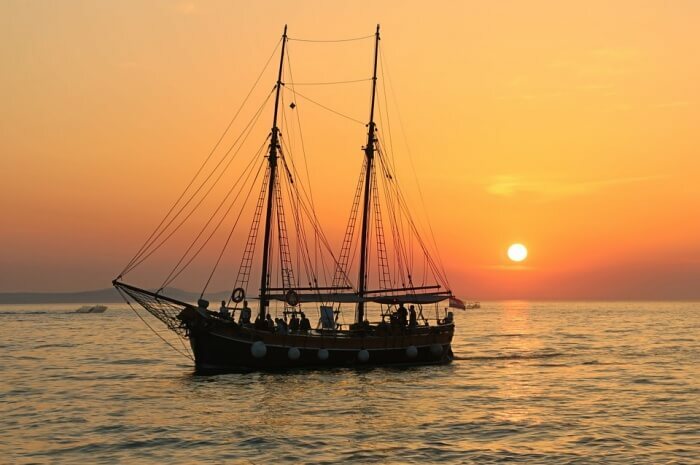 If you are a sucker for sunsets, then a Sunset Cruise ride is a must-do for you. 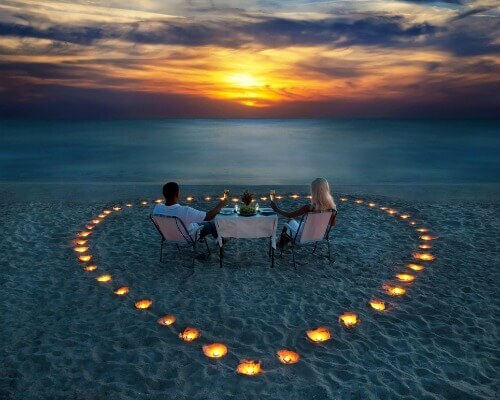 It’s amongst the most romantic things to do in Kovalam with your sweetheart. 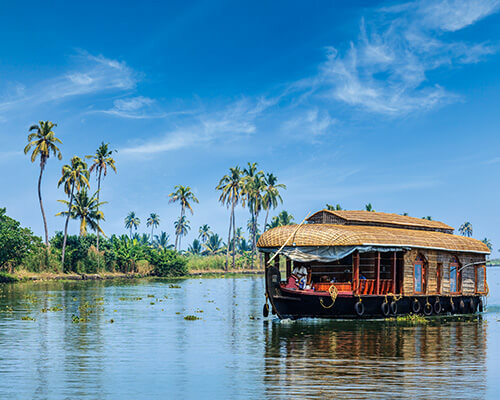 You will be sailing on the boat seeing the crimson skies, fishes dancing in the waters of Arabian Sea, and listening to the sound of waves crashing against your boat. 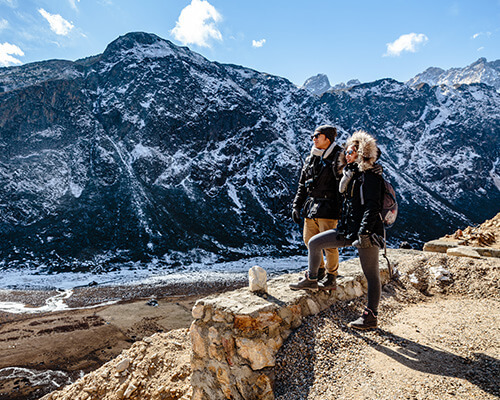 Niraamaya Retreats is known for its absolutely enchanting location and peace. The expansive beach and sea views right from your balcony or hotel room will instantly make you fall in love with the place. Leela Kovalam beach resort is not only popular in Kerala, but all over India for it’s luxurious stay and mesmerizing views of the sea. Right from your room, you can hear the sound of the sea and howling winds. 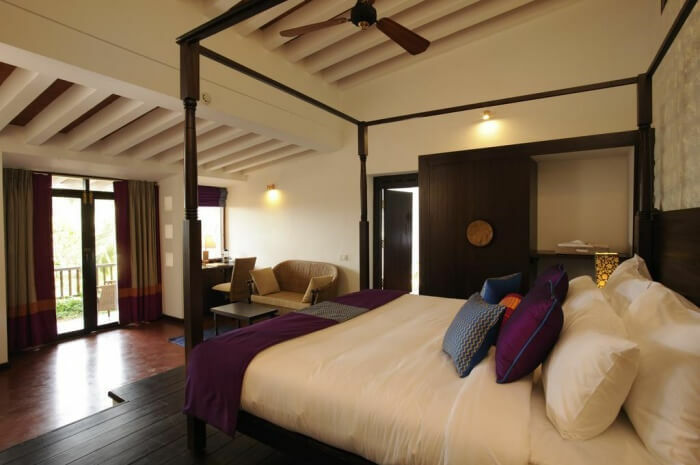 This is one of the most luxurious and wonderfully designed hotels in Kovalam Beach. Manaltheeram Ayurveda Beach Village is one of the best places to get therapeutic ayurvedic massage. 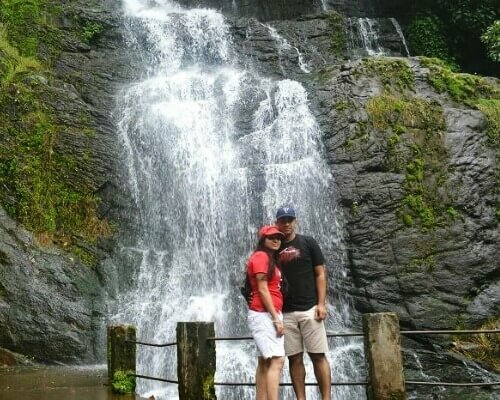 You and your partner will love the green jungle in the background and a blue sea in the front. 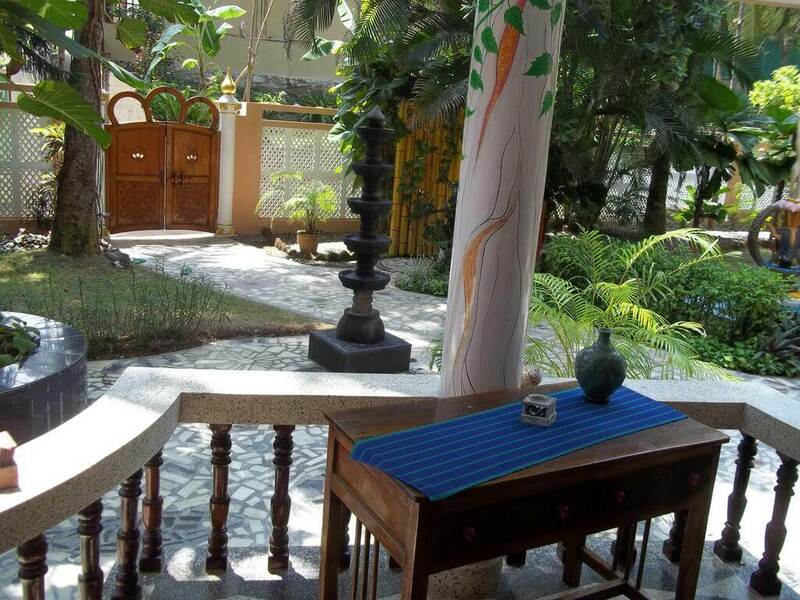 Situated about 6 km from Vizhinjam—Abad Harmonia offers tastefully designed rooms and cottages. 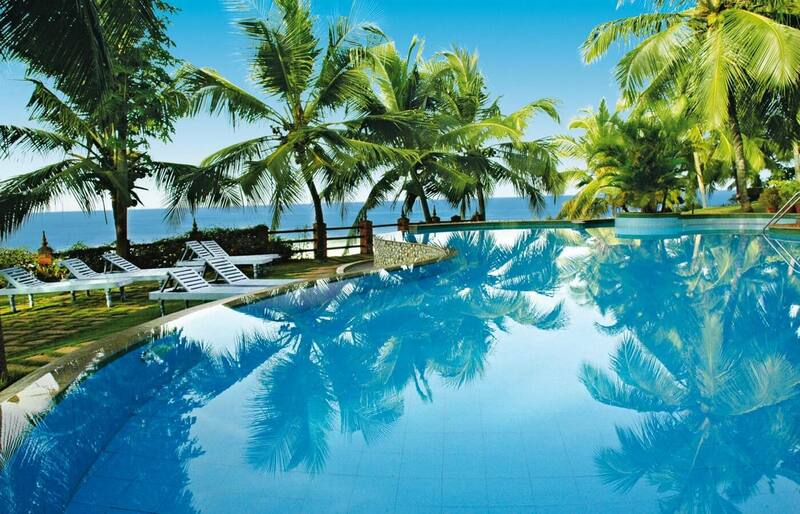 Abad is amongst the most peaceful beach resorts in Kovalam for honeymoon couples. You can witness gorgeous sunsets right from your window. Maharaju Palace was built by a Dutch guy in 1999. As soon as you enter the hotel premises, you will be welcomed by a huge, tropical garden. The garden is the USP of the hotel with a picture-perfect pond, colorful fishes, varieties of flowers, and lovebirds in it. Soak yourself in the dancing waves of the sea and feel the free flowing air of the beach rub against your cheeks. We hope the points above are reason enough to make you celebrate your honeymoon in Kovalam. 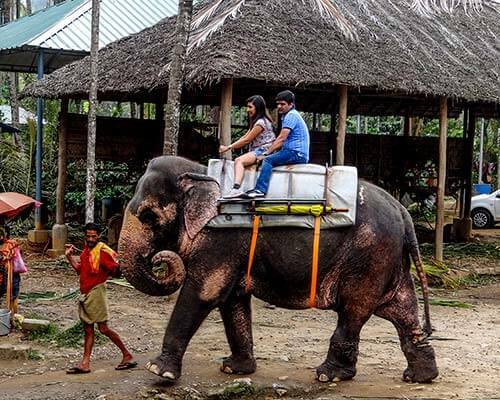 Couples who want to explore Kerala beyond Kovalam, can book a complete Kerala honeymoon package.